On January 19th of 2017, DaCast released a new enterprise BETA TEST feature: Multi Level Access. 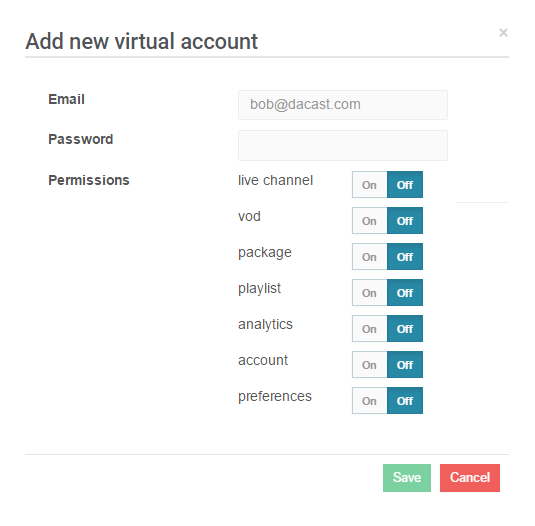 This features allows you to give restricted and different accesses to your DaCast account. If you are interested to get multi level access in your DaCast account and participate in our beta testing, please contact your account executive. We would be very happy to gather your feedback. This guide will help you through the creation a restricted access to your account once you get the feature enabled on your account. the level of permission this user will have. For instance if you want to give a user an access to your video content only, you just have to turn OFF analytics, account and preferences. to give access to the “Set Up” section of your playlists (so your restricted users can modify its content), please make sure to give them access to the VOD section as well since playlists are composed of VODs. to give access to the “Set Up” section of your packages (so your restricted users can modify its content), please make sure to give them access to both VOD & Live Channels sections as well since packages are composed of Live channels and VODs. To allow a restricted user to fo a payment request from your account, please make sure you have also grant him the access to the section preferences. 3) Once you are satisfied, please click SAVE. Please see an example below. Important note on our beta version of this feature: the permissions might be reinitialized to their default status when you click on EDIT a restricted access. Therefore, when you want to edit a restricted access please take note of the actual permissions under the RULES column before clicking on the EDIT button because you might have to restart the set up of this restricted access. Once you are satisfied, please click SAVE. You just have to click YES and the selected restricted access will be deleted. You just need to enter the password and you will be redirected to your account via the selected restricted access. To go back to your account you will have to log out and log back in to your account using your own credentials. 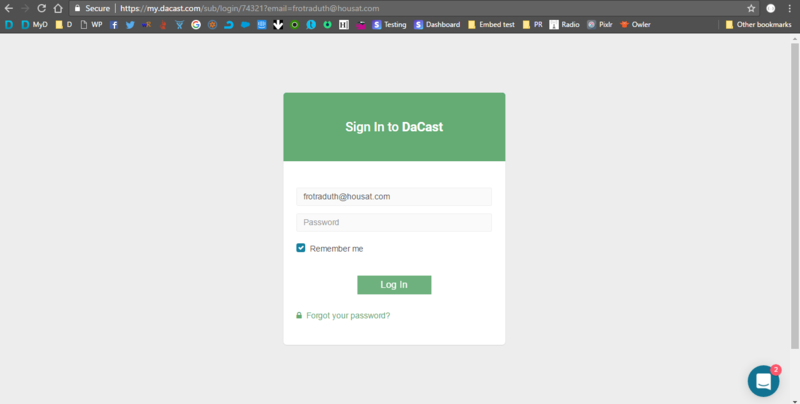 Using this specific login only, each restricted access user will be able to login to your DaCast account with their own level of permissions. If you have a restricted access to a DaCast account but you also want to have your own DaCast account, please note that you will have to create your own DaCast account with a different email address than the one that has been used for the restricted access you’ve been given.